Happy Friday my loves! 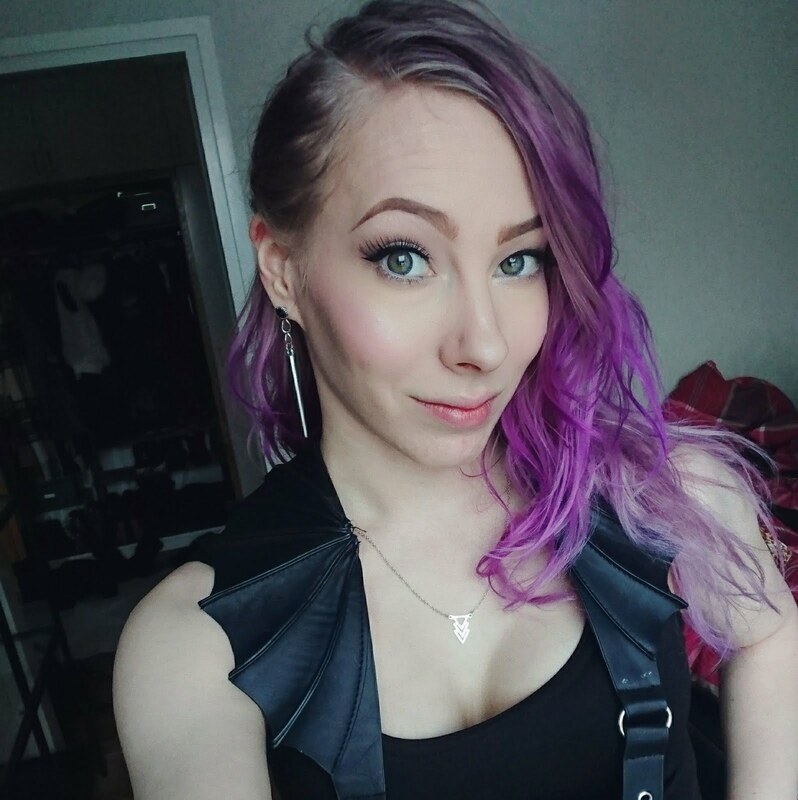 Today has been a good day because Amaranthe released their new single "Inferno" - which is a killer song, and if you haven't heard it yet, please stop reading and go put it on to the background while reading this post. You'll love it. 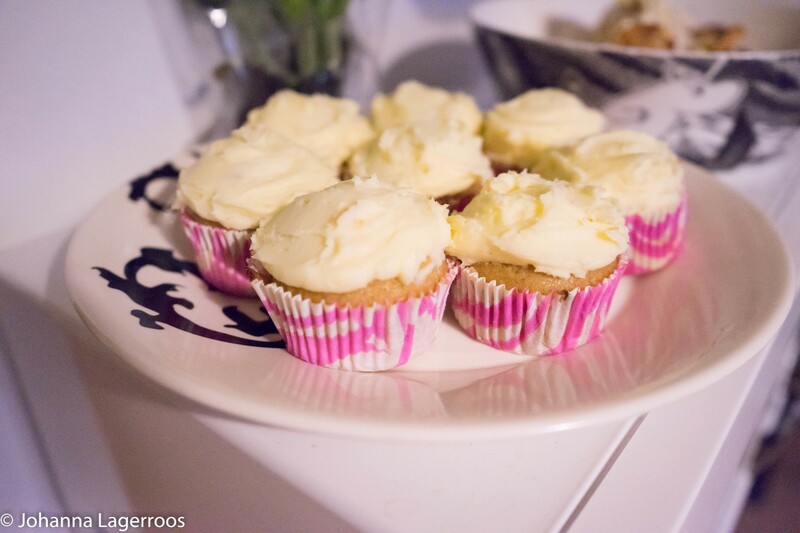 Like I hope you'll love this little food post I have for you today. 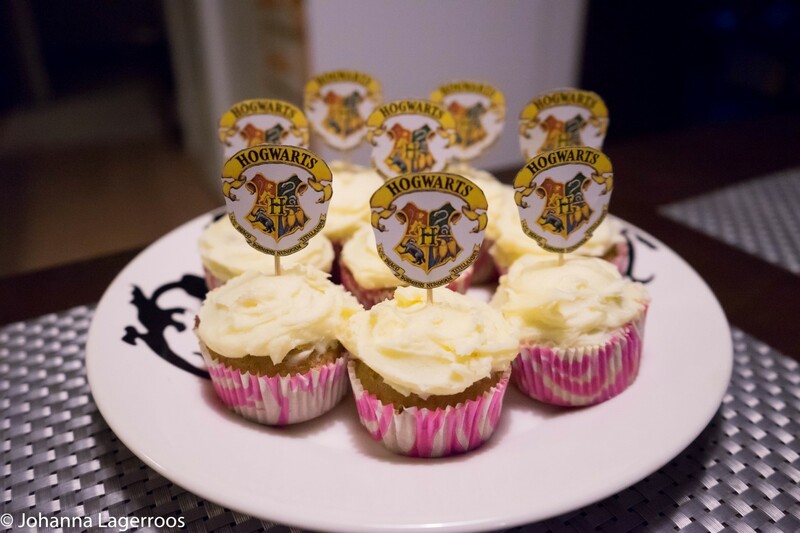 Like the title suggests, these are sorting hat cupcakes (I decorated mine after the ones seen here). I've seen so many variations of these, some have candy in them, some frosting, some have literal sorting hats on top, some just the simple frosting. 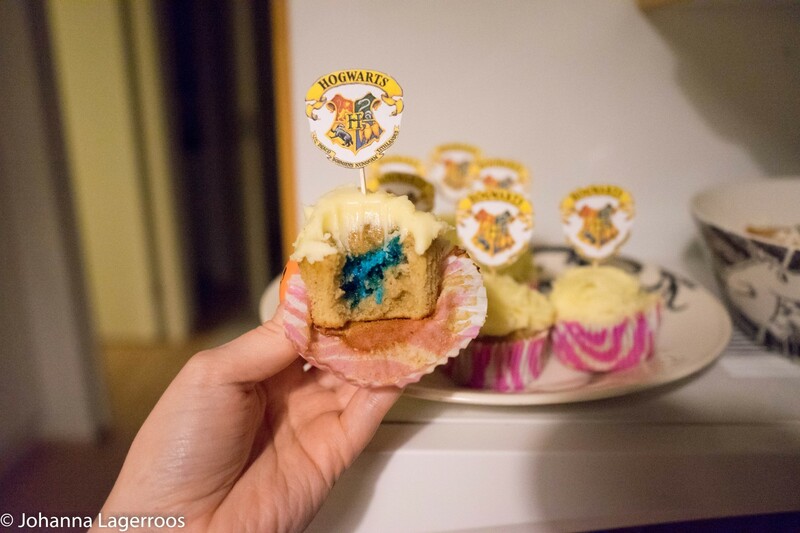 I liked the idea of white frosting on top, colored ones inside and a Hogwarts crest as a decoration. 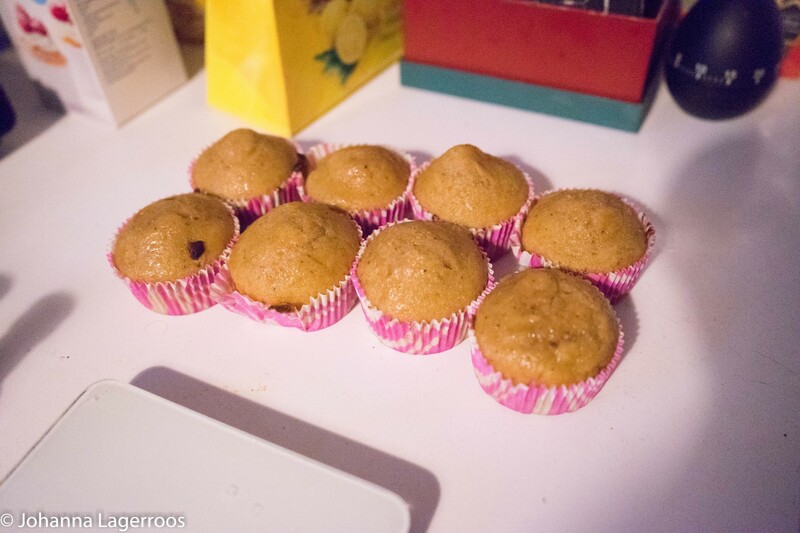 Mine are of course gluten-free, and they are made from the same dough used in the Pumpkin Donuts (click here for the recipe!). I had the cupcakes/muffins already in my freezer, so I only had to make the frosting. Soften the butter with an electric mixer. Add the vanilla sugar. Then, add powdered sugar little by little, mixing at the same time. Last, add water and keep mixing for a while. 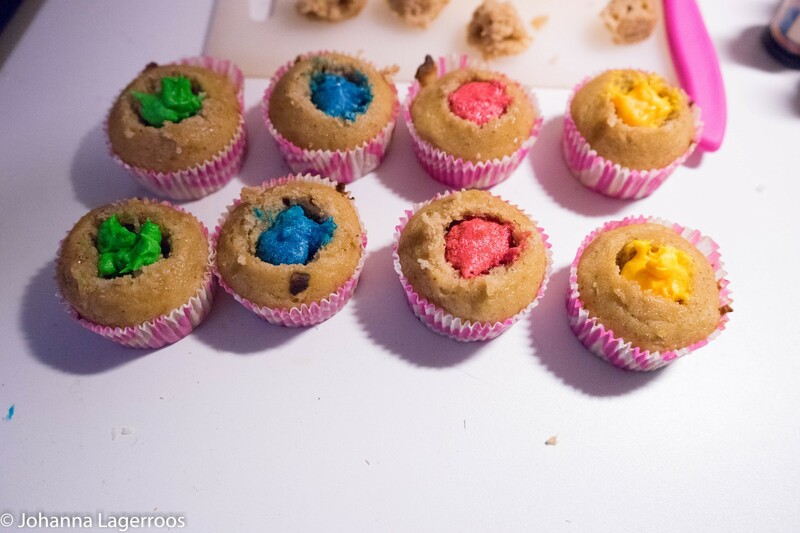 Separate four little parts from the frosting, and dye them with four different colors: blue, green, yellow and red. These colored frosting bits will go inside the cupcakes, being the sorting part of this. 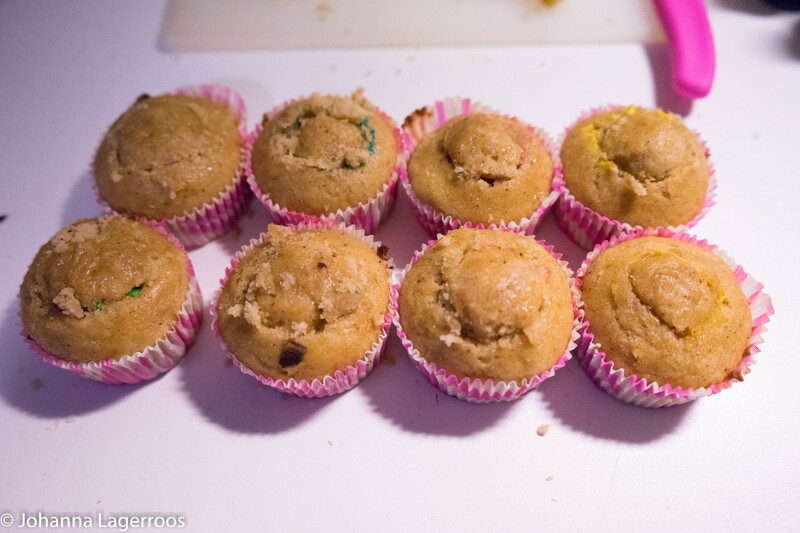 Frost the cupcakes normally, being careful not to lift away the dough lids so that the colors stay hidden. 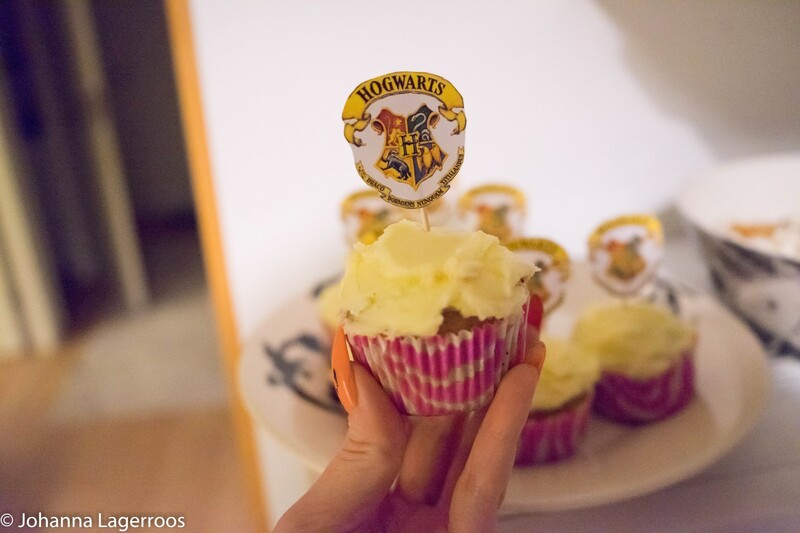 After this, you can decorate them as you wish. 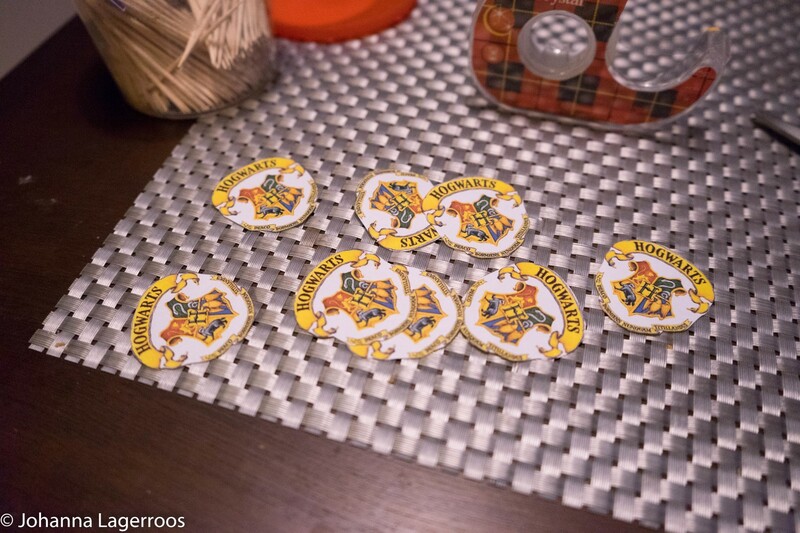 I chose to print out Hogwarts crests because that's what I saw in the blog linked in the beginning and it looked really cute but simple to me. Other Potterheads out there? Reveal yourselves in the comments below! That's everything I got for you today. I actually feel like I'm coming down with the cold right now but I try to take my vitamins and stay well so that we can get smoothly through all the Halloween posts. I haven't shot them all yet so getting sick might hinder my progress too much. Therefore, I'm off now, going to play little Sims, listen to a lot of Amaranthe and enjoy some hot tea so that I would stay healthy. I'll see you all in my next post!